One of the hottest topics of conversation in tech circles is the function of AI, and how the use of this technology is seemingly everywhere, insinuating itself into every industry from marketing to restaurants. As AI and machine learning expands into job searching technology, it’s inevitable that those seeking new jobs will wonder how this technology will affect their ability to land a new position. At its heart, both job searching and hiring are relational processes that depend just as much on the connection between the candidate, the hiring manager, and the recruiter (if applicable) as it does on resumes and cover letters. To many job seekers, the idea of introducing a non-relational function like AI into the process seems at best counterproductive, and at worst, actively destructive, since many see AI as dehumanizing the hiring process. The fear about AI’s negative impact on the job searching market is compounded by the fact that when talking about AI and machine learning, we can easily get caught up in a conversation around how robots are learning to perform increasingly complex tasks, which translates to fears about whether a robot will take our jobs, which can spiral into worrying about the world falling into a Matrix-esque dystopia. While we’re still quite a few steps away from a robot takeover, you may be wondering if there is a way that job searching and AI can coexist, and if it can it actually help you with your job search? Perhaps the most prevalent new method used in the hiring process is the use of predictive analytics. Predictive analytics are designed to narrow down a pool of candidates on the front end of the process by using algorithms, so that the applicants who move forward are truly qualified. An example might be a resume parsing technology that is able to skim resumes to find relevant skills, and match those skills against the skills described in the job description. Other services also suppress names, genders, and ethnicities to encourage diversity in hiring. As a job seeker, these technologies are actually incredibly beneficial, as they seek to equalize the job searching process so that the right candidate is able to find the right position, regardless of his or her background. Having a tool that is able to match your skills with the job skills can automatically connect you with positions that you’re qualified for means that you’ll also spend less time applying for jobs that wouldn’t be a good fit for your skills. However, as every job seeker or hiring manager will tell you, the right job is about more than just experience — it’s also about a good cultural fit. Unsurprisingly, there’s a solution for that too. AI and machine learning don’t just exist on the front end of the hiring process. Services like Entelo or Harver now offer services that not only identify a potential candidate’s skills, but also work to predict his or her behavior during the first day of a new job. These technologies look at things like a candidate's use of words like please and thank you to evaluate whether they’d be a good fit with the company’s culture, and also work to assess longevity. The potential implication for this kind of technology on the job searching process is that “hard” skills like education, GPA, and even experience will matter less than whether or not a person is a cultural fit for a specific job. This is excellent news for those looking to change job fields, or for those who are applying for positions that might not be an exact match for their skills. While to some, the idea that AI might be able to psychoanalyze them sounds somewhat chilling, this technology is still in its early days, so in many ways, it’s too soon to tell whether or not this will positively or negatively affect your job search. In the next few months, you’ll be able to better tailor your job search with new integrations coming to the Relode platform. With the use of AI, we’ll be rolling out resume matching technology that will be able to take your work history into account and match you with the best jobs for your experience. You’ll be able to find positions based on the licenses you have, and the technology will also consider your preferred locations, shifts, care settings, and more. Keep an eye on the job board to see when your perfect match appears. In the meantime, if you need help navigating your job search, we’d love to help! 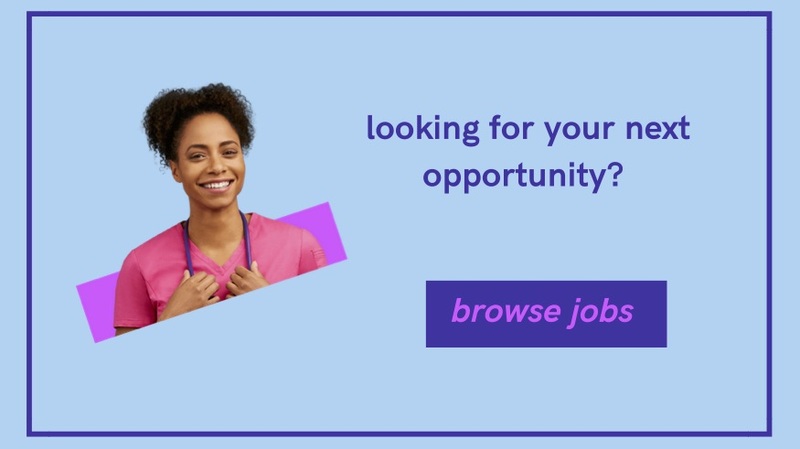 Browse our open opportunities and learn more about how Relode can help match you with your next job opportunity. we are the healthier approach to healthcare recruitment. ©2019 relode. All Rights Reserved.